Andrew Marshall '17 and Alex Abbott '17 have joined the staff of the Office of Student Affairs as area coordinators. 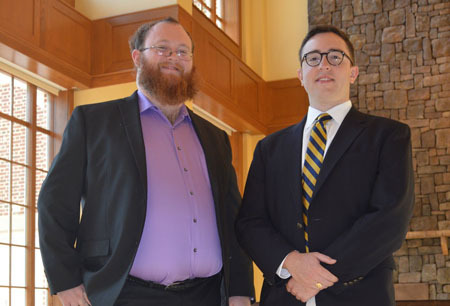 Two recent graduates are back on campus, not as students but as student advocates. Andrew Marshall '17 and Alex Abbott '17 have joined the staff of the Office of Student Affairs as area coordinators, a new position designed to resolve student issues quickly and to help students develop programs and events. Marshall is the area coordinator for room assignments and Greek Life, and will be working closely with Associate Dean of Students Richard Pantele '13. Abbott is the area coordinator for programming, diversity, and inclusion. They will be living on campus—Marshall in Music House and Abbott in Carpenter Z—eating in the dining hall, and participating in events across campus. "We're here to be a more accessible point of contact for the students and for the residence life staff," says Marshall. Abbott adds, "We'll be seeing a lot of different people in a lot of different contexts. We want to be advocates for the students and part of being an advocate is being approachable and being available. Whether students are dealing with something bad, something good, or something in between, we want to help students make the most of their time and get the most from Hampden-Sydney." Dean of Students Robert Sabbatini says, "I am very excited that Andrew and Alex are joining the Office of Student Affairs. 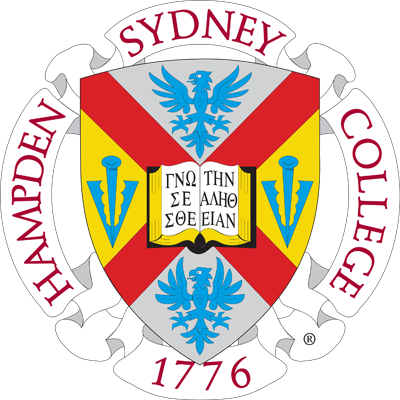 Both are proven leaders and will focus on increasing all facets of student life here at Hampden-Sydney."